It was in 1863, three years after the opening of the Wimbledon Ranges for the National Rifle Association by Queen Victoria, that Sgt. Thomas Winser first proposed an international contest. He did this in a letter to the Volunteer Services Gazette under the nom de plume of ‘The White Horse of Kent’ and, as a result, the Volunteer International Match (the forerunner of the National Match) took place in 1864, only a year before the formation of the Demerara Rifle Club in Guyana. This was shot at the Wimbledon Meeting between teams of twenty shooters each from England and Scotland. The English Twenty was thus born but, in the early years, the only meetings of the club were immediately after each match to appoint a captain for the next year. 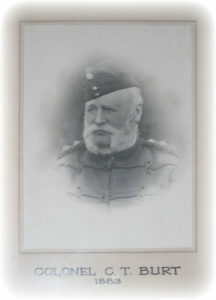 After a proposal for the formation of the English Twenty Club in 1880, Lt. Col. C. T. Burt, the then captain, established the club formally in 1883 and became its first president. 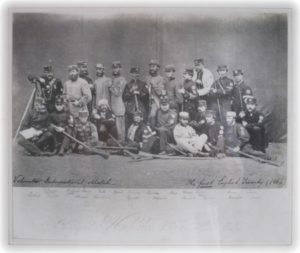 The objects of the club were to foster service rifle shooting and to look after the interests of the English team in any international match shot with a service rifle. Membership was available only to the best English marksmen until after the First World War, when membership was opened up to all English shooters based on a subscription. In the early years at Wimbledon members met in a tent and, later at Bisley, the umbrella tent. However, this all changed when the NRA erected a clubhouse in time for the 1893 Meeting, which the English Twenty Club immediately rented. This was the first building on club row and set the standard, with the rear towards Century Range so that the veranda could catch the afternoon sun. 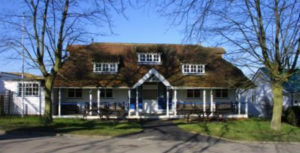 During the wars, the clubhouse was taken over by the army and subsequently restored to its former glory by volunteers after the Second World War. Volunteer work has been a hallmark of the club, with a number of modifications and extensions since 1900 and volunteers keeping the building up to scratch since the 1980s. Unfortunately, after a vote, the Club has decided to give up the clubhouse from 2017 due to unsustainable maintenance costs, thus ending 124 years of almost unbroken occupancy. 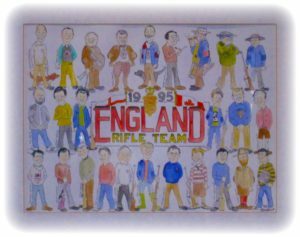 Since its inception, the English Twenty Club has grown and developed to comprise, as of 2015, 893 members (although down from the over 1,200 of 1995) across 31 English Counties, whilst diversifying to embrace the disciplines of Gallery Rifle, 300m Target Rifle, F-class shooting and English Pistol Association. Article 2 remains the same and states that ‘The objects of the Club are to foster target shooting in the interests of National Defence, and in particular to organise the English team in any International match shot in the disciplines covered by the Club’. This is the basis for the Club’s involvement in a number of regularly shot matches. From its inception, the oldest match, the National Match, was seven shots for each firer at 200, 500 and 600 yards (swapping 200 yards for 300 yards in 1977). The highest score in the initial match was 64 out of 84 because originally a bull scored 4 rather than the current 5. Once the 5 scoring was introduced, the first score of 100/105 was achieved in 1887 and it required a further 69 years before the first possible was achieved, by a Scotsman, in 1956. 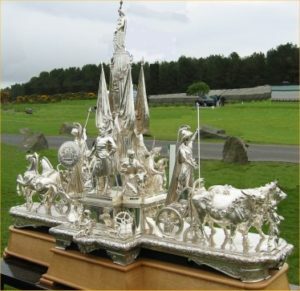 Until 1901, a number of the matches were shot up in Edinburgh or Glasgow, but it has been competed for at Bisley since then, apart from 2003 when Ireland hosted the match. Ireland joined the match for the first time in 1865, whilst the Welsh were a bit tardy and competed for the first time in 1881. Of the 143 matches shot, England have won 105 and Scotland 36 so far. Ireland had to wait until 2002 for their only victory to date, whilst Wales managed their inaugural win in 2016, in a tight match from England by 1 point, with the second highest score ever recorded (2084.298). The current record was by England in 2014 with 2087.278. The Mackinnon Match was inaugurated in 1891 for Efficient Volunteers from the Home Countries and a number of the colonies. Initially the conditions were a single distance of 400 yards but it was soon changed to a long range match over three distances in 1902. In 1913, the conditions were changed once more to the current teams of 12 over 900 and 1000 yards. The first individual highest possible scores were achieved by both an English and a Canadian shooter in 1972. Of the 117 matches, the current tally of wins is: England 67; Scotland 19; Canada 15; Australia 8; Ireland 2; New Zealand 2; South Africa 3; Rhodesia 1. The current record is held by England in 2014 with 1188.149. The Lawrence Match has been shot in Scotland at the Scottish Open meeting since 1962 , a few weeks prior to the Imperial meeting. Currently it is a match for teams of 12, fifteen shots each at 500 and 600 yards. Most years only England and Scotland compete but occasionally the other home nations do put in an appearance. Scotland has dominated this match since 2000, with 29 wins to England’s 15, although England currently hold the cup with the record score of 1777.247. The English Twenty has run a championship for English counties since 1906 and it has always been shot on a basis of regional heats, with the winners competing in a final. 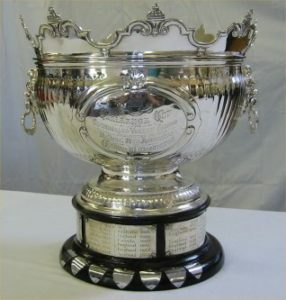 The cup was originally donated by the Prince of Wales, but it was renamed the King George V Challenge Cup when he became king. For the English counties, it is still considered to be one of the most important matches and has been dominated by Surrey, although they didn’t start winning it until 1933. More recently, an important match involving English full bore target rifle shooters has been the Commonwealth Games. In the 12 occasions that there has been a full bore TR competition since 1960, England have won 10 of the 36 individual medals and 7 of the 27 team medals. The latest development has been sending full overseas teams to major championships outside the UK that are outside the remit of the Commonwealth Games (which is currently teams of two shooters from each country). The first of these was Andrew Tucker’s team to Canada in 1995, followed by six further tours (Canada in 1999, South Africa in 2004, 2009, 2013 and USA in 2008), culminating in the current tour to Trinidad and Tobago, and Guyana to celebrate 150 years of target shooting in Guyana. 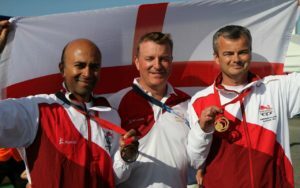 This history of The English Twenty Club was kindly written by Bruce Winney for the England Rifle Team to Guyana 2017. Sources: English Twenty brochure from the 1995 tour to Canada, English Twenty website and www.nra.org.uk/common/asp/records/.